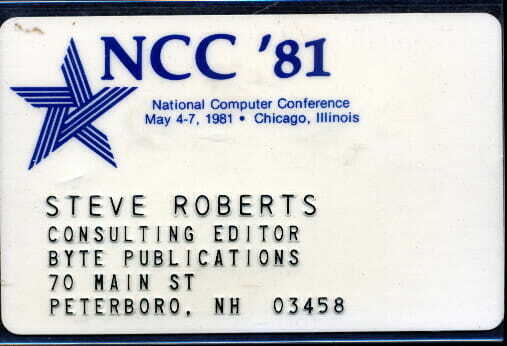 My favorite geek-freelancing activity back in the early ’80s was heading off to a conference or trade show, then spinning tales of new technology for the readers of my favorite magazines. 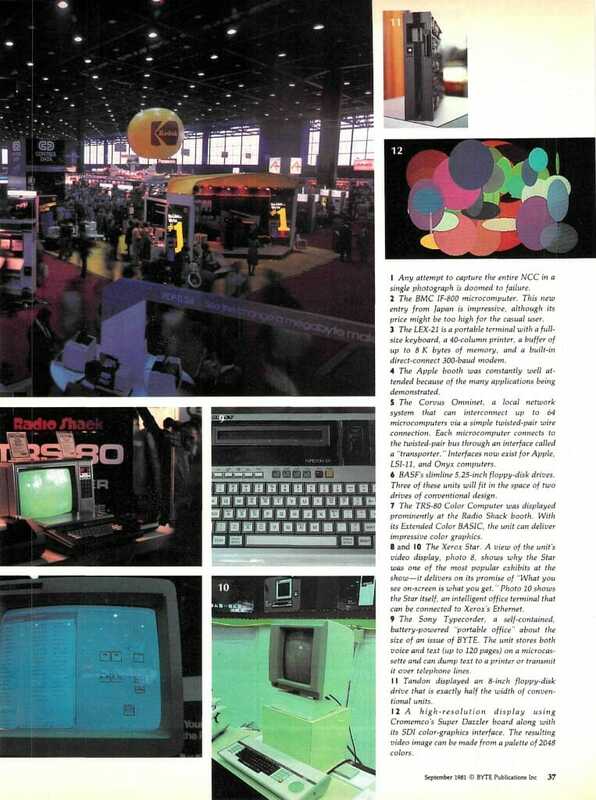 This one was at the other end of some spectrum from the Artificial Intelligence conference that led to my cover story in the same issue, though I remember being particularly enamored with the future implications of the Xerox Star (the first attempt at a commercial windowing system, which later found its way into a little machine called the Macintosh… I had just seen its nerdier brethren at PARC in the form of the Dolphin and Dorado). Mostly, this is a photo essay of shiny new things, circa 1981. My only regret is that the actual photographer was not credited in the piece, and I no longer recall his name. 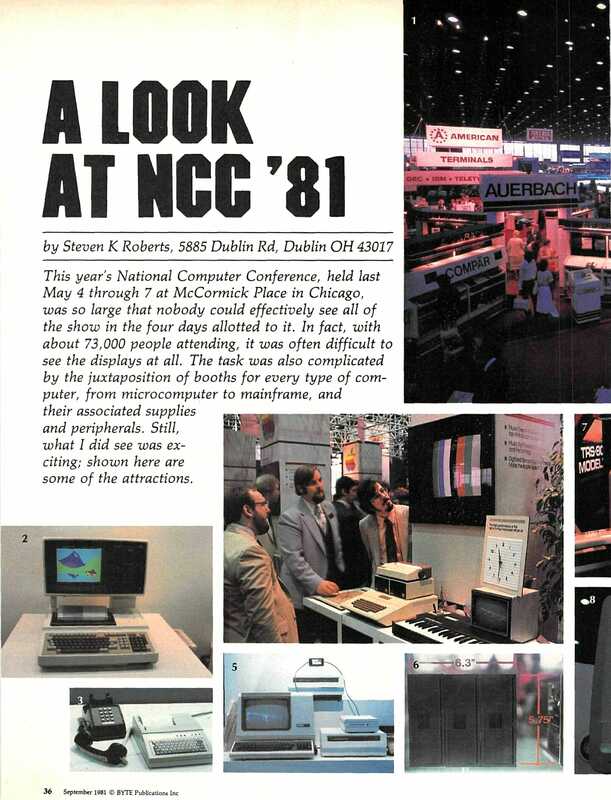 Thisyear’s National Computer Conference, held May 4-7 at McCormick Place in Chicago, was so large that nobody could effectively see all of the show in the four days allotted to it. In fact, with about 73,000 people attending, it was often difficult to see the displays at all. The task was also complicated by the juxtaposition of booths for every type of computer, from microcomputer to mainframe, and their associated supplies and peripherals. Still, what I did see was exciting; shown here are some of the attractions. 1 Any attempt to capture the entire NCC in a single photograph is doomed to failure. 2 The BMC IF-800 microcomputer. This new entry from Japan is impressive, although its price might be too high for the casual user. 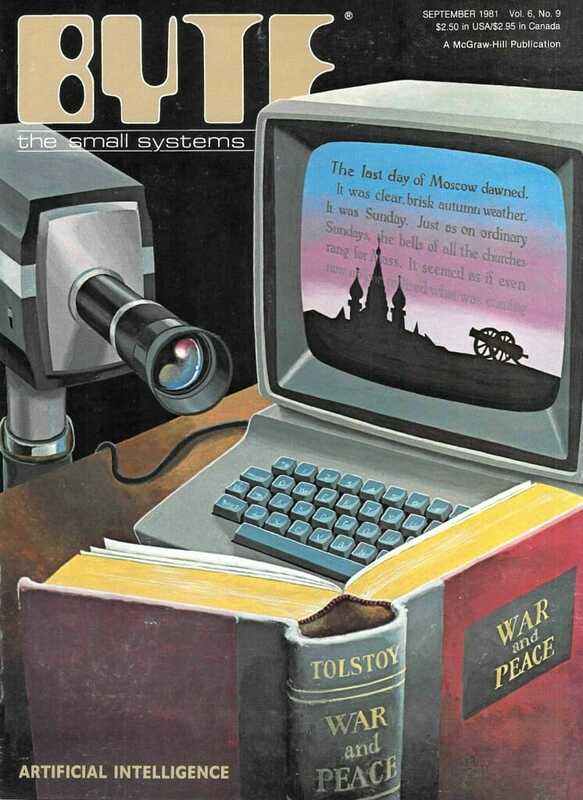 3 The LEX-21 is a portable terminal with a full-size keyboard, a 40-column printer, a buffer of up to 8 K bytes of memory, and a built-in direct-connect 300-baud modem. 4 The Apple booth was constantly well attended because of the many applications being demonstrated. 5 The Corvus Omninet, a local network system that can interconnect up to 64 microcomputers via a simple twisted-pair wire connection. Each microcomputer connects to the twisted-pair bus through an interface called a “transporter.” Interfaces now exist for Apple, LSI-11, and Onyx computers. 6 BASF’s slimline 5.25-inch floppy-disk drives. Three of these units will fit in the space of two drives of conventional design. 7 The TRS-80 Color Computer was displayed prominently at the Radio Shack booth. With its Extended Color BASIC, the unit can deliver impressive color graphics. 8 and 10 The Xerox Star. A view of the unit’s video display, photo 8, shows why the Star was one of the most popular exhibits at the show—it delivers on its promise of “What you see on-screen is what you get.” Photo 10 shows the Star itself, an intelligent office terminal that can be connected to Xerox’s Ethernet. 9 The Sony Typecorder, a self-contained, battery-powered “portable office” about the size of an issue of BYTE. The unit stores both voice and text (up to 120 pages) on a microcassette and can dump text to a printer or transmit it over telephone lines. 11 Tandon displayed an 8-inch floppy-disk drive that is exactly half the width of conventional units. 12 A high-resolution display using Cromemco’s Super Dazzler board along with its SDI color-graphics interface. The resulting video image can be made from a palette of 2048 colors.